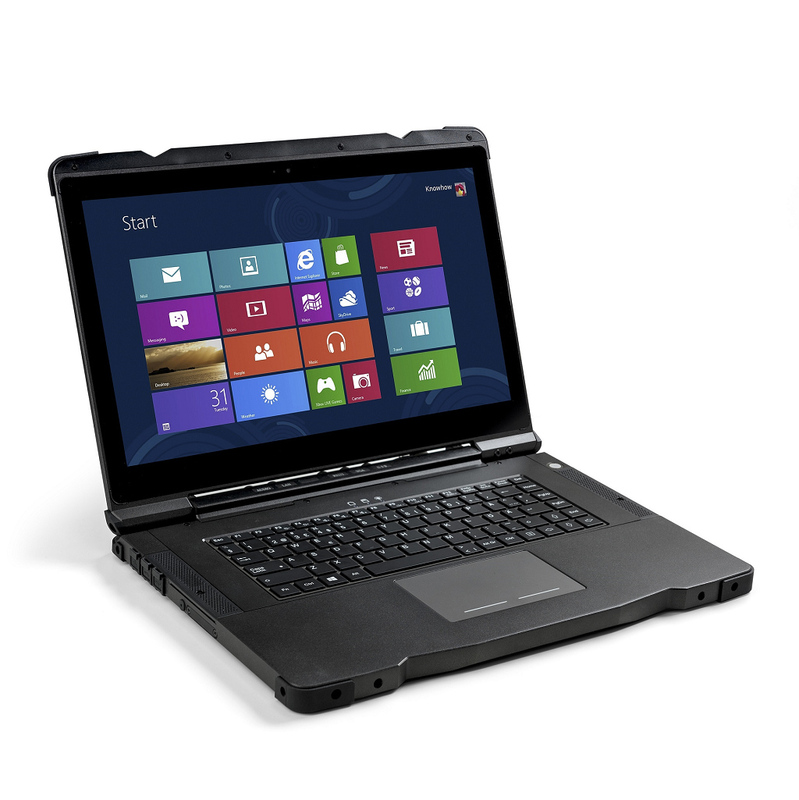 The RV11 15.6" Slim type fully rugged Notebook PC packs all the performance needed, and more. With main features such as an Intel i7-3517UE CPU, Intel HD graphics 4000,15.6" optical bonded FHD LED LCD, SATA III SSD and up to 8 GB RAM, the user will have all the performance required in a highly rugged and slim package. Just as its little brother, the Rocky RS11, the RV11 is designed for extreme environments and is made to be used in the field. MIL-STD-810G and IP65* certification is standard.